All TU Delft readers for every faculty can be found in the webshop at readers.tudelft.nl. Most readers can be downloaded for free, and it is also possible to order printed copies. You can access the webshop using your NetID. Charges do apply to downloading some readers, as they contain copyrighted material. 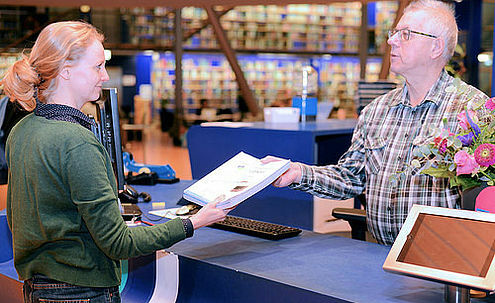 Simply order the reader as a PDF file at readers.tudelft.nl and complete the order process. At the end, the reader will appear in ‘My orders’ and remain available there for download. In the webshop, you can order printed copies of readers and have them sent to a pick-up point on campus or pay postal charges to have them sent to your home address. Allow at least four working days to receive the reader in the post or for it to be ready for collection. When you’ve chosen to pick up your order on campus, you will need to bring your dispatch confirmation e-mail and your campus card. Orders can only be picked up in person. If you are unable to find the reader you’re looking for, please contact the lecturer concerned. For any questions about ordering readers, please contact the webshop at klantenservice@webedu.nl.